Welcome to Poona Hospital. As one of the large hospitals in Pune, we provide the highest standard of clinical expertise and nursing care by offering the latest technology, and state-of-the-art hospital facilities. We provide rapid assessment, intervention and treatment for numerous common and complex conditions. Patients receive customized, individual care and prompt services is our hallmark. 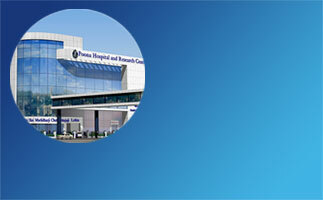 The hospital presently has 300 beds and is situated in a central location, with easy access to the City. In addition to providing quality health care the focus is also on preventive health programmes, medical education and clinical research. Devotion to the art and science of healing reinforces every aspect of our mission. Your health and wellbeing through our skill care and compassion.